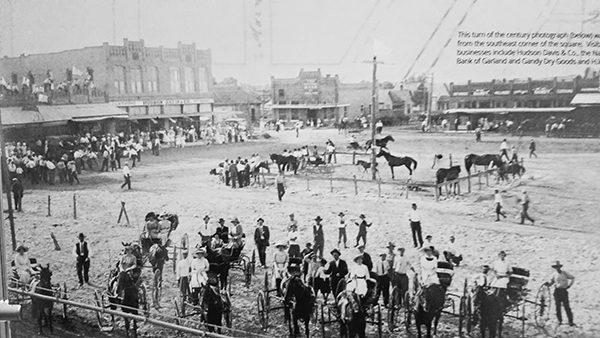 We just returned home from visiting two guilds in Texas. I love Texas, but this past week was hot, hot, hot. How wonderful to see some friends from past classes, cruises and shows. And, it was nice to make some new friends. 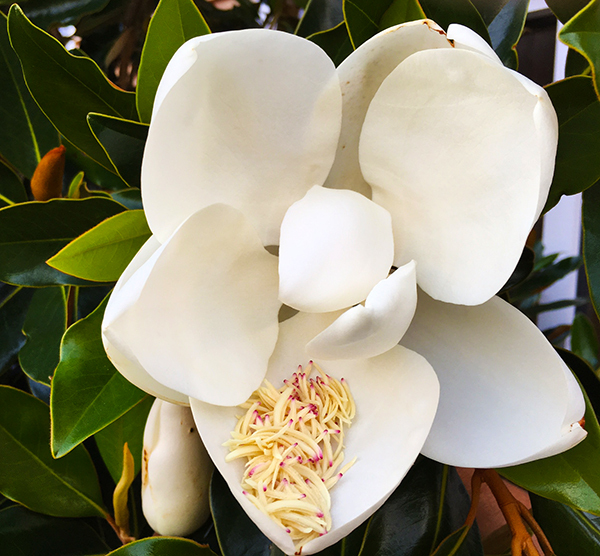 The magnolia trees still had their fragrant flowers. Here are some of the members waiting for the lecture. And, some of the ladies at the machine applique workshop. 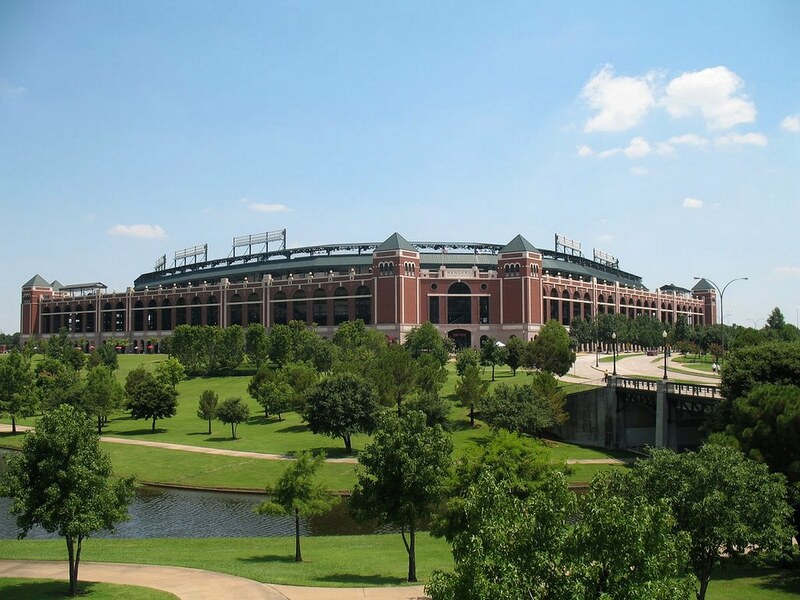 Arlington is home to the Texas Rangers baseball team and a visit to their ball park is a must, even if they were on the road. My photographer and roadie, Joe, forgot to capture photos of the ladies in the class as he was out and about in the historic part of town. First, he stopped at a museum housed in the old railway station. 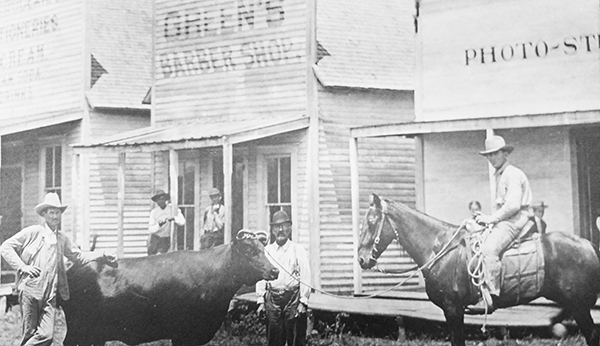 He learned the history of the area and how it grew from a one horse town in the late 1800s…..
To a small town by the turn of the 20th century. 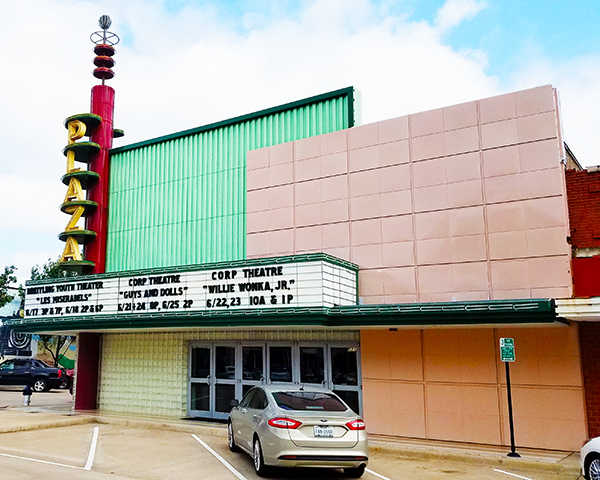 It became a thriving small town of 10,000 in the 1950’s where the Plaza Theater was in full swing. 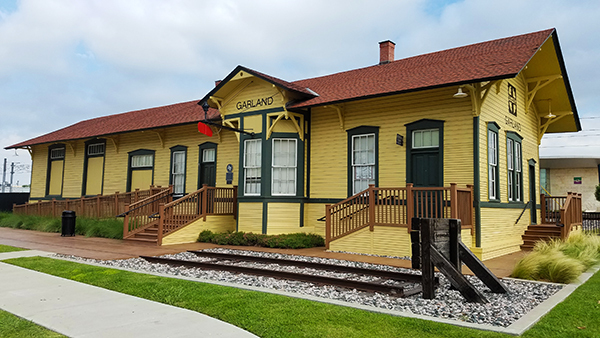 Garland Texas was a town of about 20,000 people in the 70s and 80s but now has a population of over 250,000. Wow. 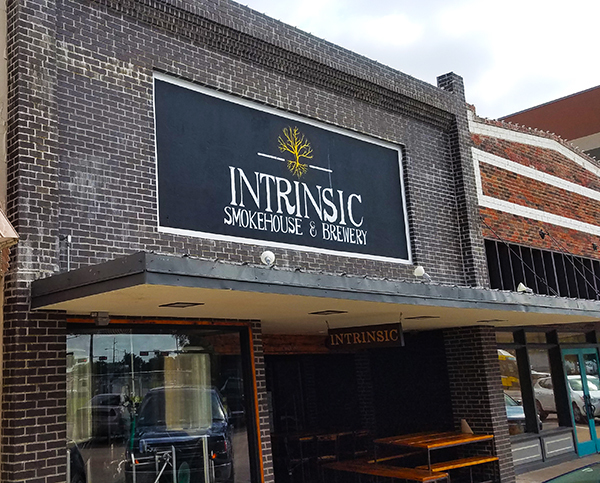 Joe also loves Texas BBQ, the best in the world, and Garland has one of the best in all of Texas: Intrinsic Smokehouse & Brewery. 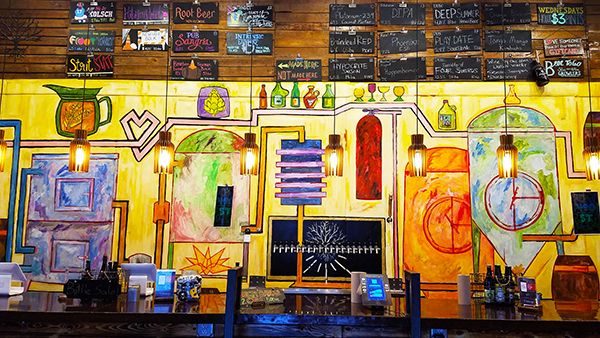 It has a beautiful tap room. 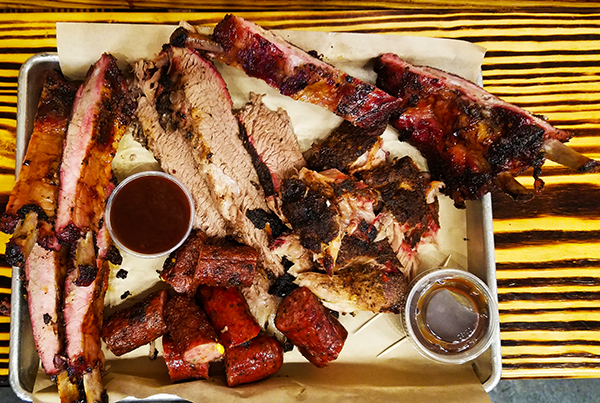 Mountains of meat and sauce (Texas Heat or Texas Sweet). Joe had to sample some. He says he skipped the chicken. 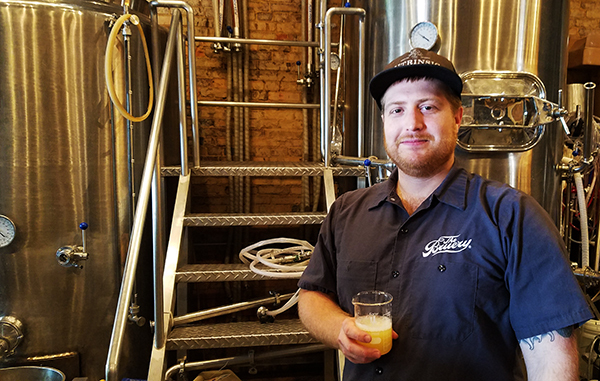 And, of course, Joe had to discuss and help Brew Master Chris taste and test the latest batch of IPA. It must be a science if you drink it out of a lab beaker. I think I know why he forgot to take photos of the quilt class! I am home for a couple of weeks. More sewing, yippee. My new project is really taking shape. Until next week … . This entry was posted on Monday, June 19th, 2017 at 8:20 am	and is filed under Uncategorized. You can follow any responses to this entry through the RSS 2.0 feed. You can leave a response, or trackback from your own site.